Russia, United States, submarines, Sean Connery…whoops, wrong movie. 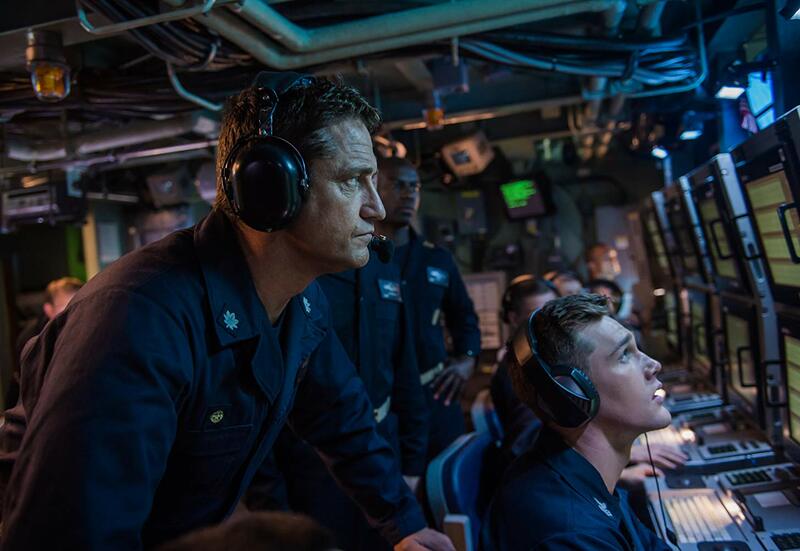 It’s hard not to draw at least some parallels between Hunter Killer and The Hunt for Red October, which, alongside Das Boot, is the submarine movie to which all others are compared. 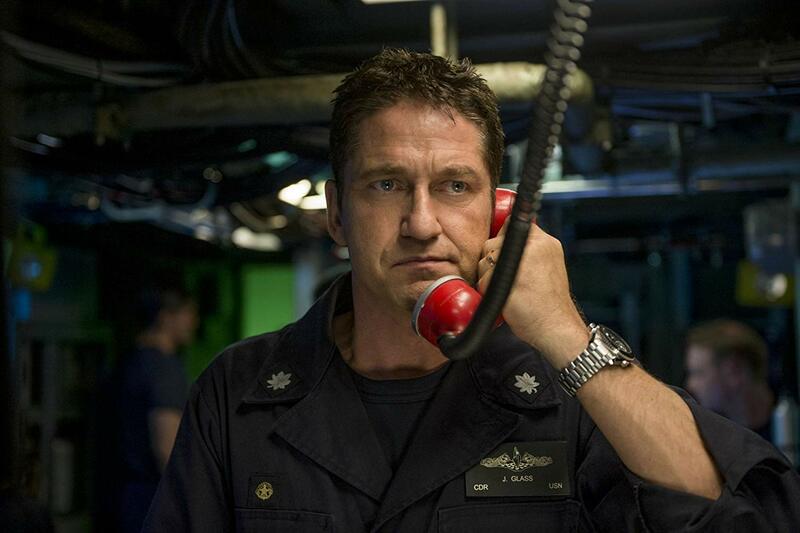 On the surface (no pun intended), there are at least a few superficial connections between Hunt, which skyrocketed Tom Clancy’s career, and Hunter Killer, the latest film starring Gerard Butler, Sadly, while Hunter does have its share of excitement and tense moments, it doesn’t feel like it’s going to be remembered any longer than it’s in theaters. The plot of the film is pretty straightforward. 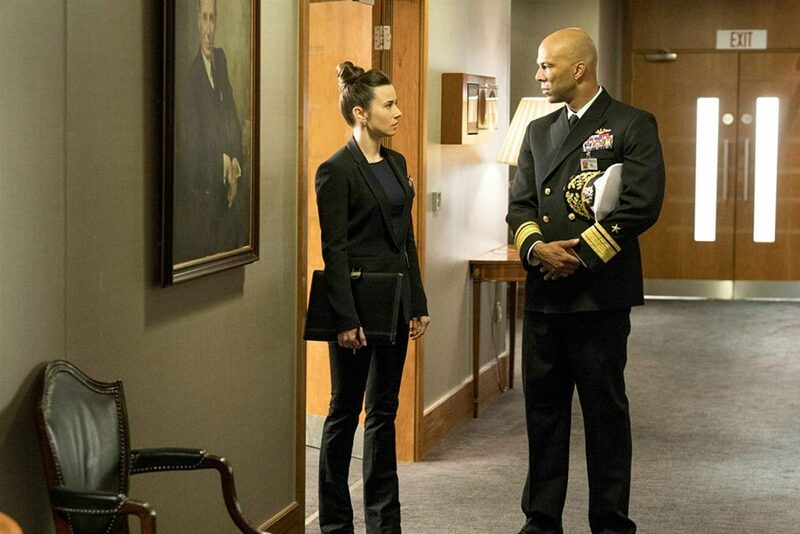 After an incident in the Arctic results in the loss of both a Russian and American submarine, a US Admiral (Common) decides to send another attack sub, the USS Arkansas (a fictional sub, although there are plans for a Virginia-class submarine down the line), to investigate. Arkansas is under the command of Commander Joe Glass (Butler yet again doing his best American tough guy impression), who’s sailed on submarines his whole life, but until now he’s never been in charge of one. He doesn’t mince words (in his first speech, he tells the crew he can likely do their jobs better than they can) and he quickly finds himself being tested when the Arkansas is attacked in the same spot the other two subs sank. 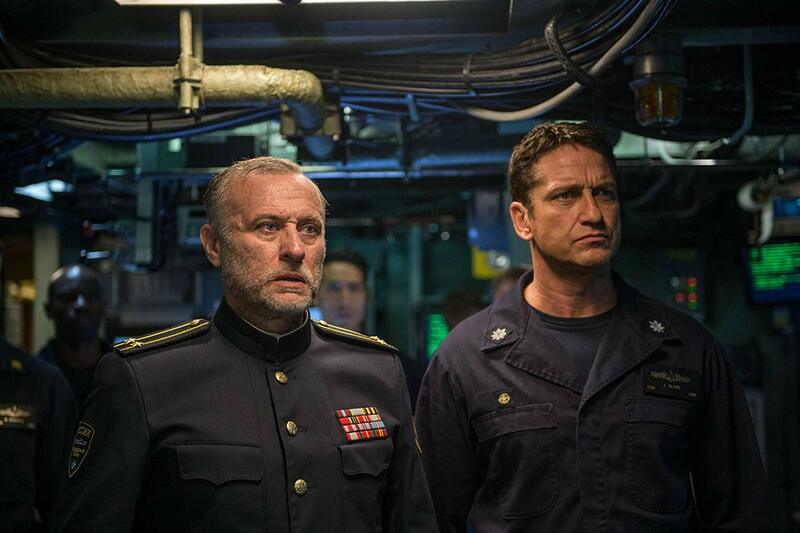 After dealing with the attack, they find survivors on board the Russian submarine, including Captain Andropov (Michael Nyqvist, who gives a respectable performance in one of his final roles), who quickly proves himself key to the survival of the Arkansas. I will note that one part in which HK shines is the combat scenes. They’re rather unrealistic from a military standpoint, but damn if they’re not tense and entertaining. Full disclosure, I haven’t served, but I have to think that one of the of harrowing experiences a person can go through is to be aboard a submarine as it’s under attack. Director Donovan Marsh does a masterful job of creating tension between not only the crew, but between the opposing forces. While things aren’t pleasant under the ocean, they’re downright craptastic on the surface. In an attempt to trigger an all-out war, defense minister Durov attempts to stage a coup, capturing Russian President Zakarin. To prevent this, a fireteam of Navy SEALs, already on site to recon the situation, is given orders to rescue Zakarin and rendezvous with the Arkansas, who must navigate its way into the Russian naval base without being detected. Okay, it’s a little schlocky. Most of the characters in the movie are pretty standard-issue stereotypes. Glass is a no-nonsense guy who demands excellence from his crew. The Arkansas CO is perpetually on the brink of pulling a Crimson Tide by questioning Glass’s orders left and right. The SEALs are comprised of three badasses and one guy who always messes up in training, so naturally you can count on him to come through in the clutch later on, right? And so on. There’s very little character depth in this movie, but hey, it’s got rifles and phallic-shaped ships full of seamen (and women), so does anyone really care about that? All in all, it’s a very straight-forward action movie perpetuating the love of the armed forces, be they American or Russian (yes, there are Russian good guys, too). There’s no silly romance and not a ton of comedy, just two hours of attempting to start and prevent World War III. The acting performances are okay. Butler, Common, Nyqvist, and the like don’t do anything to stand out, but they don’t ruin the movie, either. Gary Oldman is, well, Gary Oldman. With a pension for the dramatic, his role as Chairman of the Joint Chiefs is pretty…loud, but in an amusing way. Don’t go in with any expectations, and I think you might even be pleasantly surprised.